In candlestick charts, as in many other charts, you get the open, close, high and low (OHLC) of the online Forex prices, for the time frame you chose earlier. Forex trading Candlestick charts are possibly the most readable charts available for technical analysis in the online Forex, and they have been in operation, since they were invented in Japan, during the 18th century. Real Body - The broad part of the candlestick chart figure is called the real body. This part displays the range between the open and the close price. If the Forex currency's close is lower than the open, then the real body appears in the color red. Otherwise, if the close price is higher than the open price, the real body appears in blue. Shadows - These are the thin lines that come out of the real body of the candlestick chart figure. The shadows represent the extreme prices. The upper shadow, which is above the real body, has a peak that signifies the session's high. The bottom of the lower shadow, that appears below the real body, is the Forex session's low. One of the biggest advantages of candlestick charts, is that with only one glance, you can observe a lot of information about the online Forex trading currency movement. This information would not be otherwise available to you using other charts. 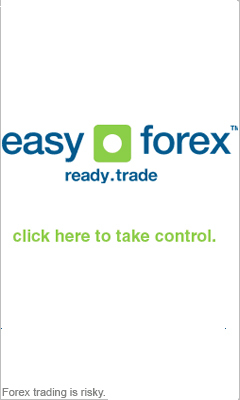 Most importantly, you can notice the difference between the open and close prices of the online Forex. If you notice a red candlestick, it can serve as a warning about the direction of the currency price. Traders of the online Forex market need to pay special attention to such changes of direction in currency price, in order to protect their investment. Doji - A Candlestick chart figure with no real body is called Doji. A Doji means the open and close prices for that timeframe are the same, and the supply and demand forces are in balance in the online Forex market. Following are other basic candlestick chart behaviors that can give you insight into how to act next with your Forex trading order. A long green real body signifies the bulls are in charge. A long red real body means the bears are in charge in the candlestick chart. A small real body means there is a tug of war between the bulls and the bears, and could signify a change in market direction. A long upper shadow displays the market has rejected higher prices. A long lower shadow is a candlestick chart, that shows the market has rejected lower prices. It is very important to analyze as many candlestick charts before placing you Forex trading order. This has been the basic information every trader of online forex should know before making currency trades, and you can now move on and read more about candlestick chart patterns and more advanced topics.